2017’s Theme: I’m not crying. You’re crying. 1. 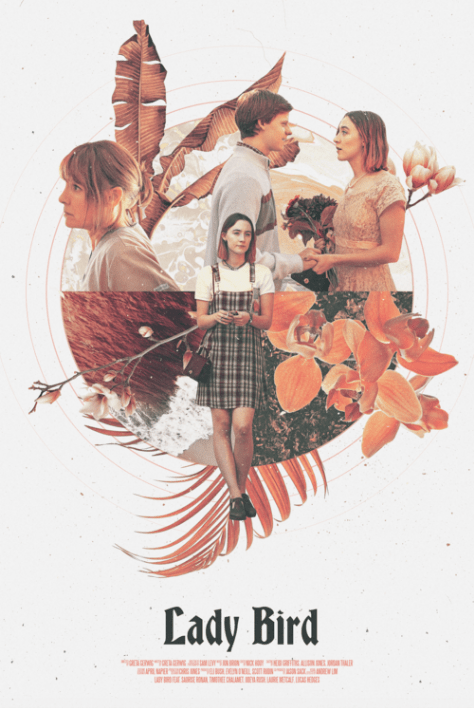 Lady Bird – I’m sure many can say that Lady Bird reflected some part of their teenage life, but I’m also pretty sure it reflected MY teenage life so closely I tried not to tear up, especially during every scene between Saoirse Ronan and Laurie Metcalf. The misunderstanding between daughter and mother but constant need for love and approval? Check. The desire to move far away for college and apply to schools I couldn’t afford? Check. Falling in love with a cute boy who ended up not feeling the same? Yep. The crying in the car while listening to Dave Matthews Band? Several times check. The film is brimming with emotion and beautifully depicted both tempered and quiet relationships Lady Bird had with everyone in her life. Bonus points for getting to watch little Briony not be a punk while coming of age and completely smash this role. 2. 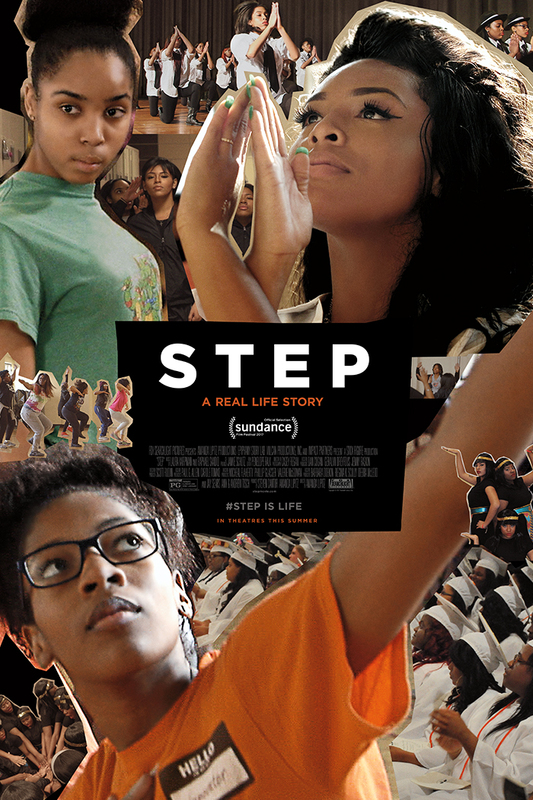 Step – Come for the stepping, stay for the feels. The documentary follows a group of seniors from an all-female high school in Baltimore. These young ladies all find refuge in the step team while battling to make it through school just to graduate. They have a lot standing in their way—from poverty to inner city social injustice—but their families, teachers and friends all stand together to get these women into college. The documentary might be missing a few steps (pun not intended) in the overall story, but it managed to keep me sitting up straight and paying attention to what it takes to get an education when resources are scarce and spent the whole time rooting for them as they found out their futures. 3. Okja – All of the personalities in this movie were as colorful as the costumes they were in, but Okja was the one who really stole the show. I wanted to cry and hug that animated hippo pig as much as I did with Bing Bong. The opening scene where we meet Okja, along with Mija is more heartbreaking to watch a second time through because of the pure innocence the scene encapsulates, knowing what lies ahead for the pair—corporate greed, deception, animal abuse—barely scratches the surface. The dark material may show a very real side to how humans are hungry for blissfully ignorant tasty meats at the expense of how animals and the planet itself are treated, but at the same time there are the little guys (or girls, rather) who fight with all of their heart to keep a little piece of it safe from harm. It gives me hope. 4. 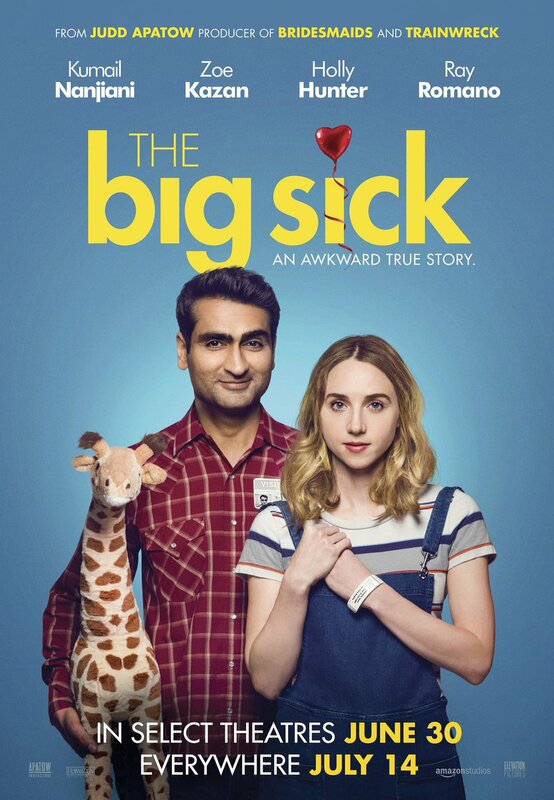 The Big Sick – I found myself relating to yet another movie about a strained child/parent relationship. It was even more relatable coming from an Asian background and having the same pressures of what parental expectations were and at the same time trying to find a voice. How many films can one watch as a minority and laugh cry at the exact same conversations I’ve had with my parents that are culturally relevant? Not many. If this movie had come out when I was younger, I would of stole all of Kumail’s comebacks in those conversations. But put that aside and there is the real story. Watching Kumail Nanjiani depict a version of his real life relationship with Emily Gordon—the distress he ends up in trying to figure out what she means to him, meeting her parents for the first time (the exchange between them in the hospital cafeteria is pure gold) and having to choose between a career and family/Emily—all while she is in a coma is well written, hilarious and shows a lot of heart. 5. 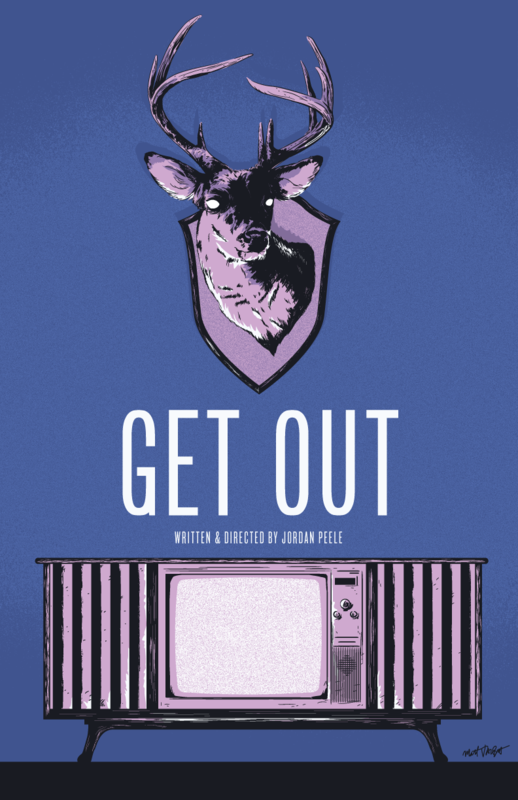 Get Out – I don’t know what was more creepy. The poetic message of racism and ignorance, which is strongly relevant today in the form of a truly uncomfortable horror film, or watching the whitest white girl do the most white girl thing by eating Fruit Loops one at a time while slowly sipping a tall glass of white milk through a straw … while browsing the internet for her next victim. Not even with Google. Bing. BING. As I watched it was a slow unraveling of terror, as any brilliant horror film would do, but also a perfect blend of truth and comedy in true Jordan Peele fashion. Apart from the extreme sadness and anger laced throughout the entire story, the moments I latched onto the most were the exchanges between Frances McDormand and Woody Harrelson. They showed that even in utter disappointment in another person whom one might even despise down to their very living matter, there was still room for compassion and understanding. 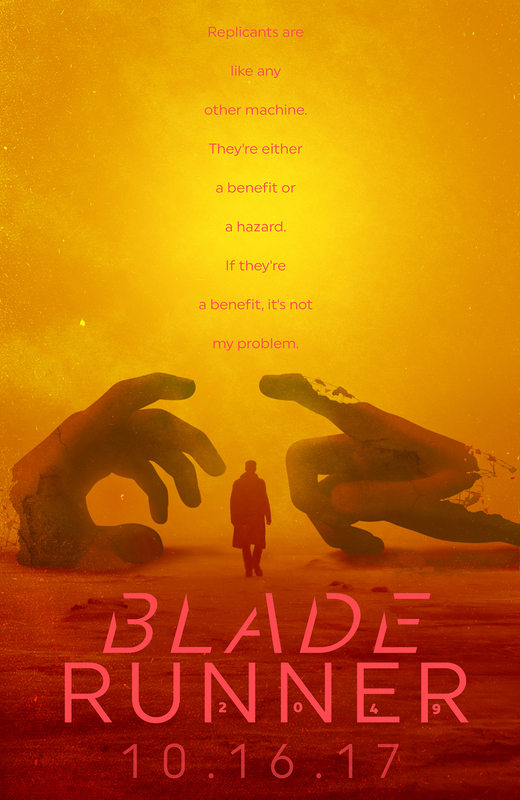 My top five is pretty heavy material so watching Ryan Gosling be really moody and running through a wall in a visually stunning world doesn’t hurt. This slides under the Top 5 because of Jared Leto and whatever performance that was. Denis Villenueve continues to be on a roll. Arrival was my #1 last year, and he now has another one atop my list this year. I legit think this is better than the original (which I believe is a bit overloved) and they’ve expanded the universe even further. I want to see more films from this universe. This is my favorite of the three new Star Wars films. This one looks the best, has the most meaningful character arcs and plots, and includes some of the best sequences ever filmed for Star Wars. It really shakes up what was an already-derivative story, meaning I have no idea what’s going to happen in the next installment and I find that exciting and refreshing. Edgar Wright doesn’t make bad films. This is stylish and funny from start-to-end, and I wish he wouldn’t take so long between films. The final film in a surprisingly-good trilogy is probably my favorite of the three. Has to be one of the best trilogies of all time too. Nolan takes a simple war story and applies his unique take on it, creating three timelines (at different lengths) and weaving through them until they all meet at an exhilarating climax. A well-made mystery set in the Wyoming wilderness, from the guy that wrote Sicario and Hell Or High Water. A horror film with social commentary laced into it. I really hope this gets some Oscar nominations because it’s a great script and directorial debut by Jordan Peele. Had a lot of fun with this, which was not the case with the first two Thor movies. Taiki Watiti (had my #2 movie last year) brings his comedic chops to the Marvel universe with great success. I’m a sucker for Sorkin, so there was no way I wouldn’t enjoy this movie. And of course I loved it. This is his directorial debut, and he directs the way he writes – with style and speed. 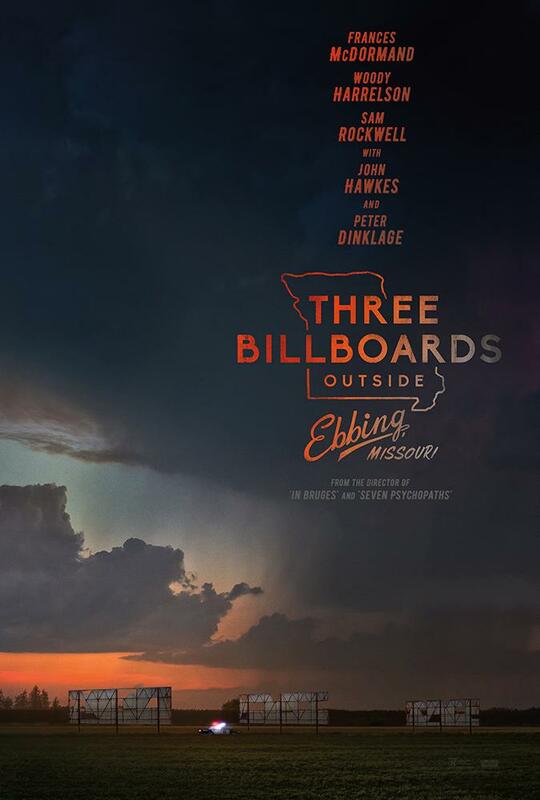 Dark but funny, which is where Martin McDonaugh wants to be with his films that I all love. Tho I’m not sure how I feel about the resolution of the main mystery in this one. The 15:17 To Paris – Clint Eastwood true story film, starring the actual people who lived it. Isle of Dogs – Wes Anderson returns! Sicario 2: Soldado – Loved the first, but I wish they just called it Soldado. This one features Benicio more. Solo: A Star Wars Story – They haven’t made a bad star wars film, so this could be good, but I don’t have high hopes. Still, it’s a Star Wars movie so I’ll see it. This entry was posted in Movies.